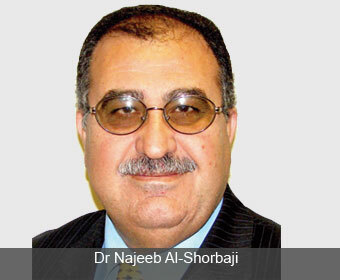 As director of knowledge management and sharing at the World Health Organization, Dr Najeeb Al-Shorbaji is tasked with directing all aspects of the United Nations’ ICT initiatives regarding healthcare. It’s a mammoth task, made more so by the fact that the greatest barrier to m-health adoption within countries is often the competing priorities of the proposed m-health systems themselves. Yet it’s an effort that is bearing some considerable fruit worldwide. The WHO itself has a dedicated e-health unit responsible for the governance, standards and evaluation of all aspects of information communication in healthcare technical areas, from surveillance to caring. And Al-Shorbaji is keen to point out that m-health, while a key element, is only part of the story. It cannot be viewed as a standalone proposition and must be seen as a subset of e-health, which in turn is an integral part of a more general, comprehensive healthcare strategy, encompassing all security, ethical and standards issues. As well as providing leadership on global health matters and shaping the health research agenda, WHO monitors and assesses global health trends. Its latest report, which focuses specifically on m-health, was released June 7th and revealed a groundswell of activity, with 83 per cent of UN member states offering at least one type of m-health service, and many countries offering four to six programmes. The four most frequently reported m-health initiatives are: health call centres (59 per cent), emergency tollfree telephone services (55 per cent), managing emergencies and disasters (54 per cent), and mobile telemedicine (49 per cent). But approximately two thirds of m-health programmes are in the pilot or informal stage, and herein lies the biggest problem. “One of the issues we are tackling is the abundance of pilot projects which have come about due to a lack of national policies,” says Al- Shorbaji. Without government commitment and investment, many m-health initiatives are limited to pilot status, regardless of their reach. “Some of these initiatives are really large scale, sometimes even on a national level with millions of people being served, but they hide behind pilot projects due to a lack of policy,” Al-Shorbaji adds. “So we are pushing for national policies and a framework that allows the scaling up, confidentiality, and sustainable investment in these projects by the government, private sector and non-governmental organisations, and UN agencies. Fortunately, there is growing acknowledgement from governments and national authorities of the benefits of e-health programmes. Al-Shorbaji says that, at the last WHO summit, governments were talking specifically about the use of e-health and related technologies for data collection, dissemination and real time observation. According to Al-Shorbaji, it is this infrastructure that will facilitate access to information, which is why the WHO works closely with the ITU and seeks to ensure that member states’ health ministers work alongside ICT ministers. Al-Shorbaji says he would like to see more engagement from local operators on a country by country level, in terms of them being more active where they have presence. “We want them to help us develop local solutions that work across, and are transferable across, all operators within a country. We want them to be partners in this process,” he says. Because different countries have different needs, there is no option but to roll out e-health solutions tailored towards particular markets, even if the supporting technology is generic. Totally agree with this, ownership and leadership are the key elements to see this things materialize.